Great Company one phone call is all it takes. Everyone from Terminix has been extremely professional and helpful. We have used pest control and moisture proofing services and have been satisfied with all aspects of the service. Love the service. Eliminates insects which I am afraid of. My service tech is courteous and friendly. Technician is always there in the timeframe expected, does what is supposed to be done and leaves me a voicemail when the job is complete. Service is prompt and dependable. Service personal are pleasant and helpful and willing to take time to answer questions from the customer. they arrive. Their staff is very knowledgeable and do a great job. Very friendly, and if we are gone, they will put a notice on the porch to let us know they came by. Doing a great job of keeping pest and insects out of our yard and home. Thanks! Our technician was extremely thourgh and professional. I have used Terminix for about 25 years and have no complaints. If I call for an occasional issue such as those yearly ants, they come right out and take care of at no additional charge. I like that they also let me know if they see any issues under the house. I never have to be home unless I have an issue. Great service! Excellent service and very personable and professional employees. Great service with nice and professional staff. Your technicians are very professional and do a great job. Also always nice to get a call to set up appointment time Thank You. Good service when I call with a problem and scheduling is flexible. Lamont is a great pest control tech. He's prompt and kind. Always answer questions I might have. The service is very good, but the technician left our gate open. We have 2 dogs that would have gotten away if we had not noticed first. Great service. Tech was on time and extremely thorough. Explained everything to me before service on the application Zach was the tech and I’d request him anytime. Great employee. Over twenty years of service and no pest issues! It toke a while but it’s working good job 👍. Always performs great quality service ! Comes back if it rains too much and we need another spraying ! Very reliable service. Terminix handles any special needs (e.g. flea invasion) very efficiently and without added charge. We’re very pleased with the service we receive from Terminix every 3 months. Brandon is always on time and very professional and courteous. 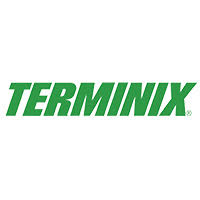 I have not had any terminates since using Terminix services. Have been pleased with our services. I was pleased with the explanation of why we needed work done, pleased with the professionalism of representative who quoted price. The work was done in a timely manner. I have been with Terminix for over five years and has received excellent service. The customer service is very good. Thanks for your years of service ....keep up the good work. I have engaged Terminix for the entire time I have owned my home. I have been satisfied with all of the services they have provided and would recommend them to others. I am pleased with the service you provide. Thanks. When I called Terminix in a panic they sent someone out immediately. This company is professional and very courteous. Each time Terminix has come out to my house to treat, I have received a call. Terminix was the best decision I have made. I am so pleased and happy with the work they have done and continue to do. Thank you Terminix!! We have been very pleased with the service we receive from Terminix. Our tech is very personable and we trust him implicitly! He is proactive and has helped us with problem areas especially when he has noticed that we have had issues with fire ants. The service man that has called on me the past couple of yrs has been outstanding. Always courteous, very helpful with any problems that I have. Always pleasant and accommodating. If I am having other problems, I let the person know and he takes care of it if they can. Technicians are professional and knowledgeable. The guy was good. Listened to where my problems were and alerted me to possible problems.